(*) In the shopping cart an additional fee of € 0.90 is charged! 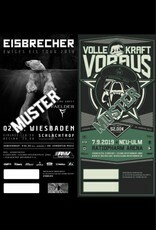 PROMOTER: Eisbrecher + Eisland Entertainment + Schlachthof Wiesbaden e.V. 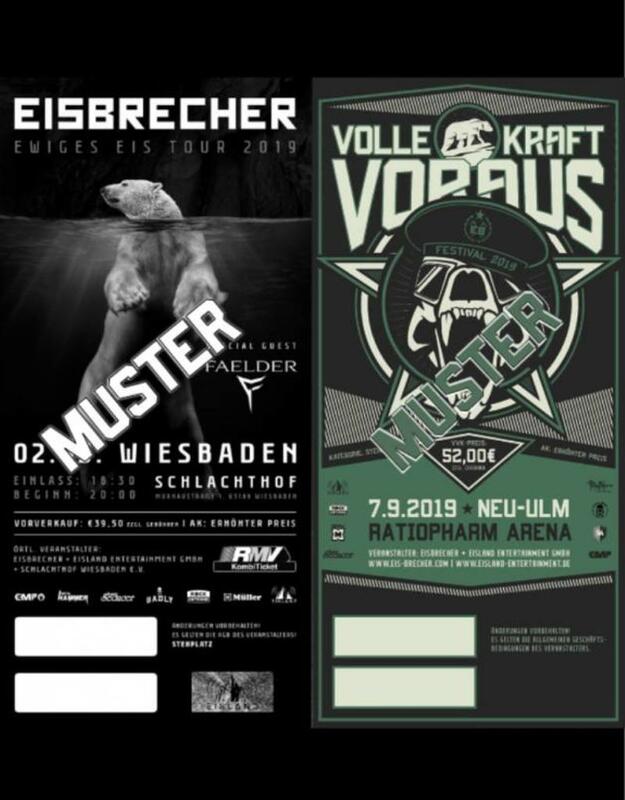 Eisbrecher +Eisland Entertainment + Schlachthof Wiesbaden e.V. - Children from 7 years to end of 13 years (only with a companion / guardian) needs an children ticket. ( Only seating ! ) You can order the tickets @eventim.de ! NOTE! Dear Parents, Due to the length of the event, the volumes and performances of the individual artists we recommend that you do not bring children under 10 years to the event. Please remember to pack ear protection for your children and be worn by the children during the concerts! We will instruct the security accordingly. - Wheelchair | Visitors with disabilities and (B) in the handicap card please buy one Wheelchair ticket @ Eventim The accompanying person receives free admission to the festival.